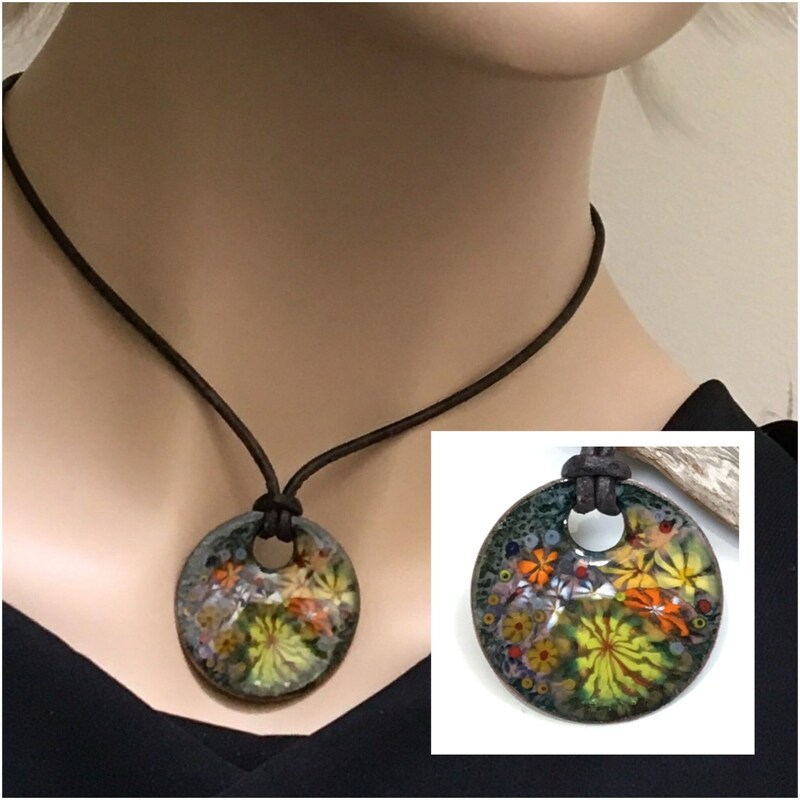 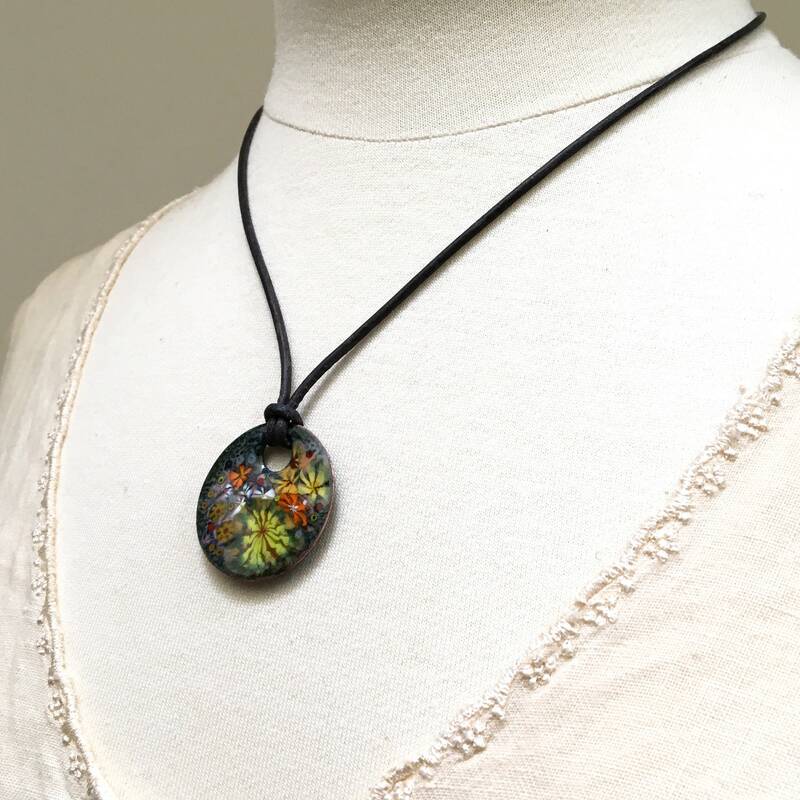 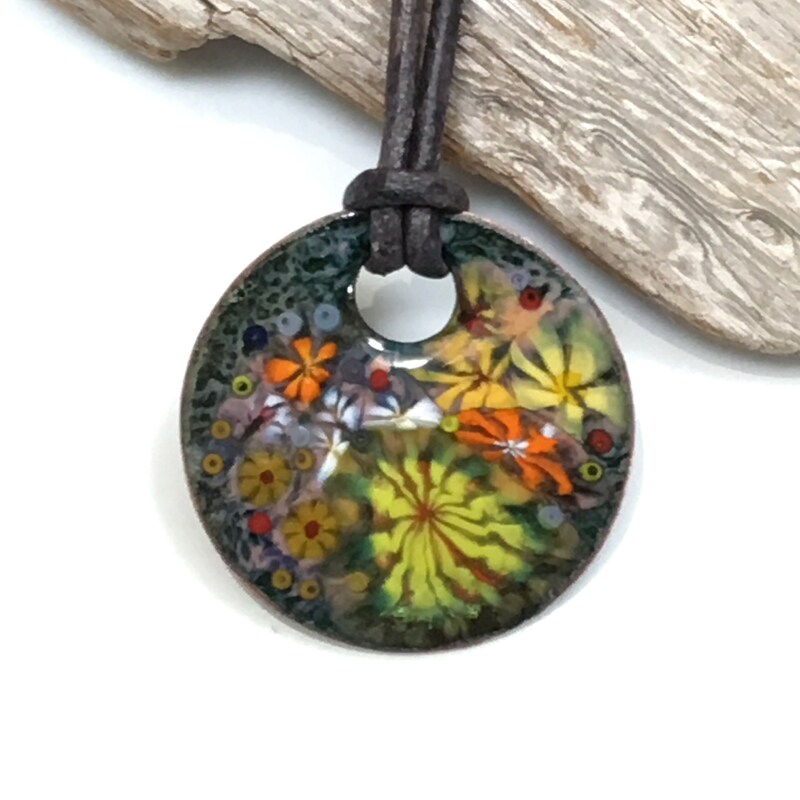 One of a kind art pendant, inspired by the bright colors of jungle flowers. 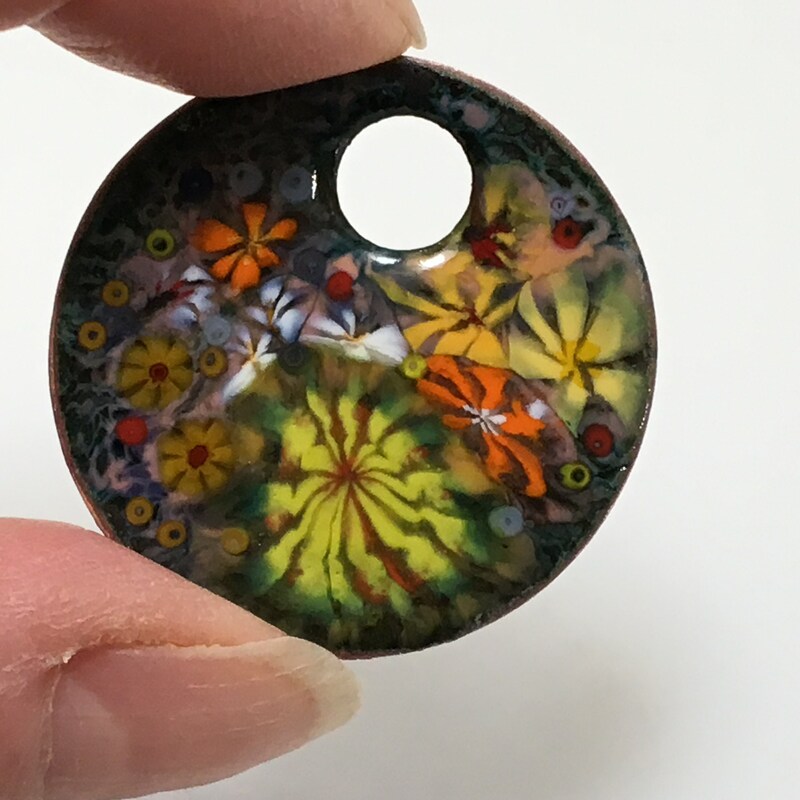 It’s a joyful impressionist art pendant of glass enameled copper. 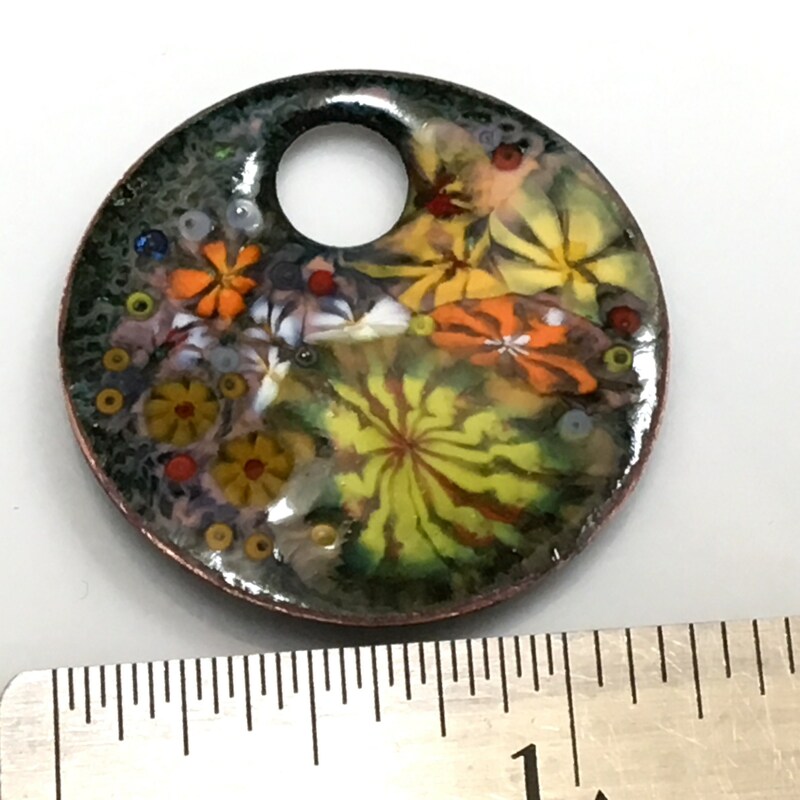 Handmade original pendant is 1 1/4” diameter. 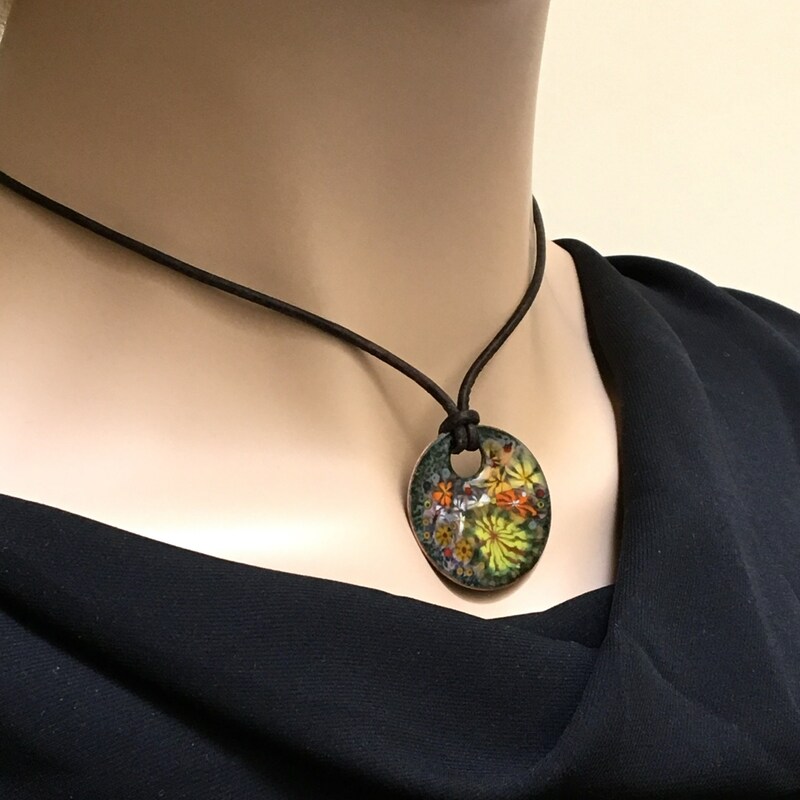 My original colorful pendant is designed to easily add a chain, a cord, a ribbon, or leather cord of your choice with an easy “larks knot” as shown. 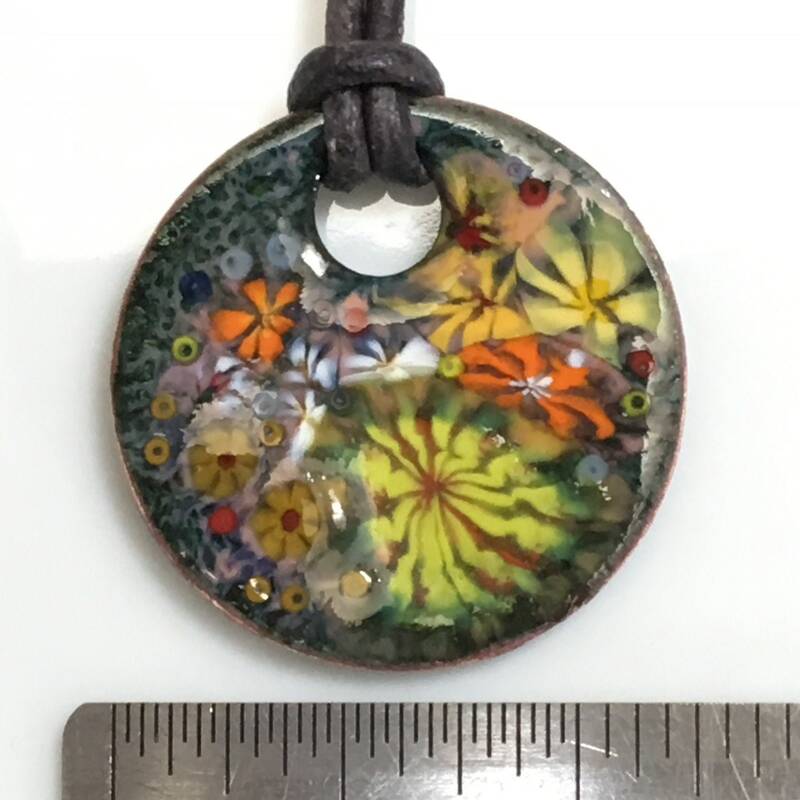 Can be purchased as a pendant alone, or with an added crocheted silk or a leather cord as shown on the models. 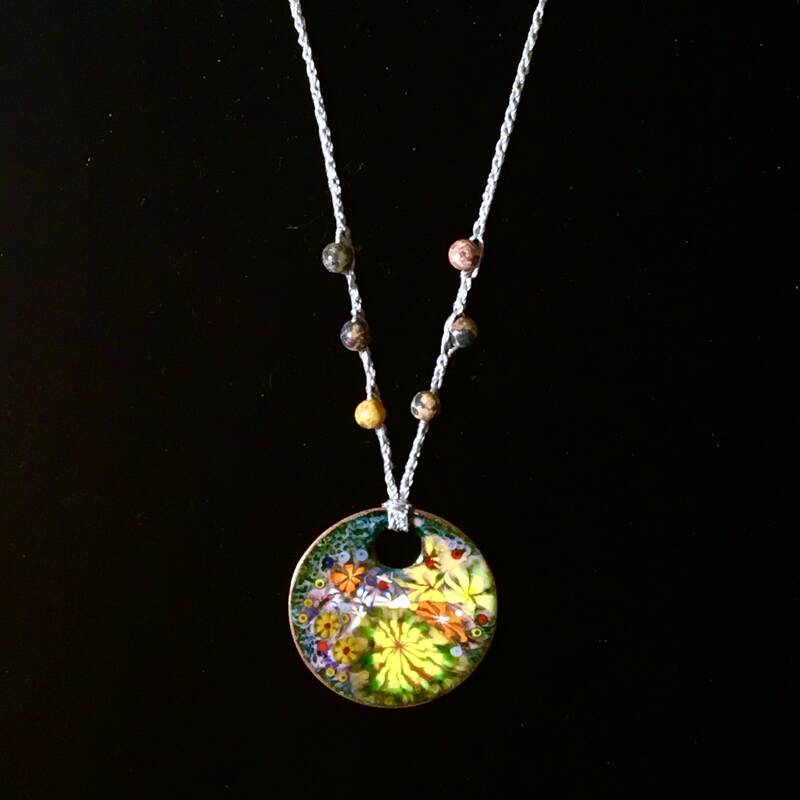 Also available, as shown in my last 2 photos, on one of my custom stone bead and crocheted silk handmade chains. 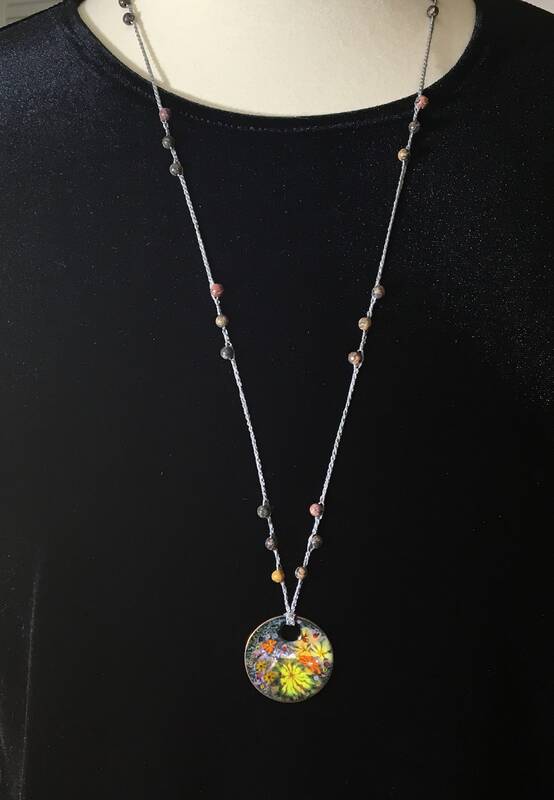 Colorful 4 mm natural jasper beads & a medium gray silk combined for a 31” chain that closes with a spring clasp and ring. 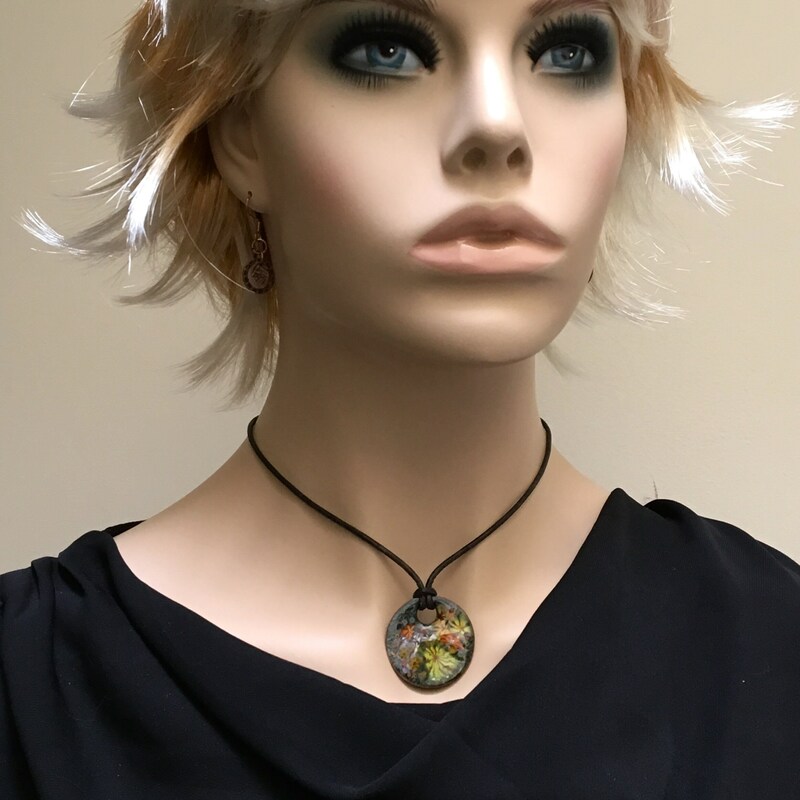 Please select your preference as you check out.